My name is Shrhonda Hemingway and I am a native of Myrtle Beach, South Carolina. I received a General Business degree in Business Administration from Francis Marion University. I later received a degree in Early Childhood Education and a Master of Education degree in Educational Leadership, both from Coastal Carolina University. I began my teaching career at Marion Intermediate School, where I taught 3rd grade for six years. It has always been my goal to build lasting relationships and to create a positive learning environment for my students. I am a youth advisor at church, a godmother, and an aunt of 14 nieces and nephews. Although the majority of my life revolves around children, I enjoy shopping, traveling, and spending time with my family. I am extremely grateful for this new opportunity as lead teacher at Britton’s Neck Elementary. I look forward to building more relationships and creating a positive learning environment for the teachers and students of my new Eagles family! Hi! My name is April Grant, and I am the newest member of the third grade team. This is my third year teaching and I am thrilled to be at Britton’s Neck Elementary. I have a great passion for teaching and I work hard to engage students in learning through high-energy and hands-on lessons. I was born and raised in Charleston, South Carolina, and earned my Bachelors Degree from Francis Marion University. I later obtained a Masters in Elementary Education from Grand Canyon University. When I am not teaching I enjoy spending time with my husband Corey and two girls Faith (8) and Cortney (1). We love to travel, visit waterparks, and attend various sport events. My goal is to always create a safe and fun learning environment for your children while preparing them for the fourth grade. I am excited and looking forward to teaching and learning with your child this year. Hello! I am Britney Nobles and I will be a 4th grade Mathematics teachers for the 2018-2019 school year at BNE. This will be my first year teaching at Britton's Neck Elementary, but my sixthe year teaching altogether. I've taught 1st grade, 4th grade, and 5th grade during my educational career. My favorite subject is math and I cannot wait to learn from and grow with you this school year! I was born and raised in Johnsonville, SC. Many family members live in Johnsonville; others live in Myrtle Beach, SC. I love to visit everyone as often as possible!! My name is Mr. Paul Graves. I have lived in Britton’s Neck for sixty seven years. I graduated from Britton’s Neck High School years ago. I have been married to my sweet bride, Phoenix, for forty three years. We have three wonderful children and seven grandchildren. My hobbies are carpentry work and going to church. I am a member of Sandy Grove Holiness Church. I serve as a deacon and I love to spread God’s word. I am happy and excited about being at Britton’s Neck Elementary School. In compliance with Marion County Schools Board Policy, students at Britton’s Neck Elementary will be required to wear uniforms. 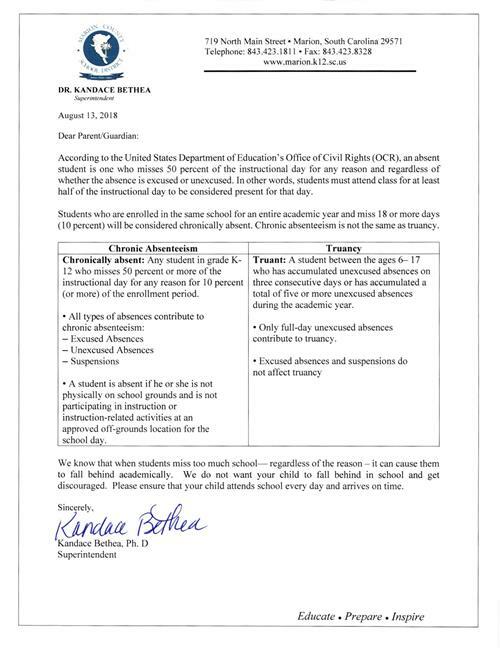 Click here for Uniform Policy.